Residents of the Northeast are still hurting from Hurricane Sandy, but pet owners have been given a resource that will hopefully help alleviate some of the financial burden. Julian Omidi discusses the veterinary clinic that was organized in Staten Island that provided free medical services to local pets. The event, which took place June 29th and was the fourth in four months, recruited veterinary offices throughout Staten Island so that pet owners could get their dogs, cats and other animals checked and vaccinated, as well as the proper medications and bloodwork performed. The Complete Care Veterinary Center, Richmond Valley Veterinary Practice, the Northside Animal Hospital and the New York City Veterinary Emergency Response Team all took part in the event. The stress of Hurricane Sandy has caused medical issues for residents and their pets. Many of the pet owners visiting the clinic have animals that haven’t been able to afford their pets’ medications, or were unable to give their pets their regular exercise due to the fact that they have been displaced from their homes, or their yards aren’t useable. Because many homes now have to be elevated in order to be in compliance with new insurance requirements, families simply don’t have the funds for pet care needs. After the storm, there were numerous pets running loose and scared, lost and often injured. The population of animals separated from their homes and owners were not only a danger to themselves, but also to people, since nervous animals are often aggressive animals. Fortunately, the animal welfare organizations were able to step up and rescue many of the lost animals, often using social media as a very effective tool. Even though Hurricane Sandy made landfall more than 9 months ago, there are still hundreds of animals looking for a permanent home after the storm.Animal rescue organizations are still taxed, and finding appropriate sheltering facilities is still a concern.Many pet owners were so overwhelmed by their circumstances that they had to give up pets that were a part of the family for years. 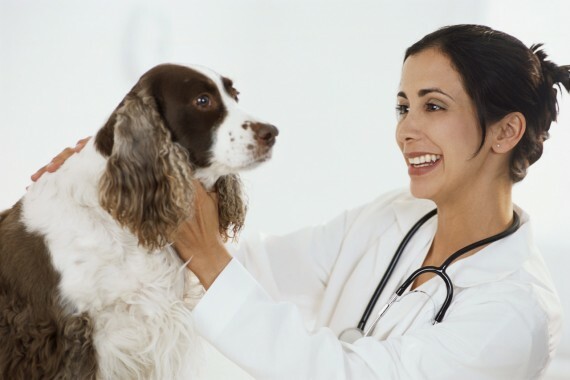 Hopefully, the veterinary initiative will help financially strapped families keep their pets in loving homes. For co-op residents whose homes were damaged in Hurricane Sandy, financial assistance from FEMA may not be forthcoming. Cooperative housing, a system that exists all over the nation but flourishes in New York City, is a housing agreement wherein apartment dwellers, rather than legally own or rent their units, instead purchase a share of the entire building. 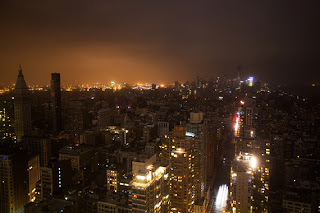 The legal distinction may not appear to mean much to the average person, but after Hurricane Sandy, the difference has cost many co-op apartment dwellers Federal Emergency Management Agency aid, even though many of the buildings and residencies were damaged extensively by the storm. Under current law, co-op owners cannot apply for aid to their individual units or common areas because that is seen as the responsibility of the entire building, which is regarded as a business, even though no actual profits are sought or even received. Although issue was addressed before after Hurricane Wilma in Florida, it has never been resolved. However, because no other region in the nation that has such a high percentage of co-ops has ever been hit by a storm the size of Hurricane Sandy, the problem will not be as easy to ignore. 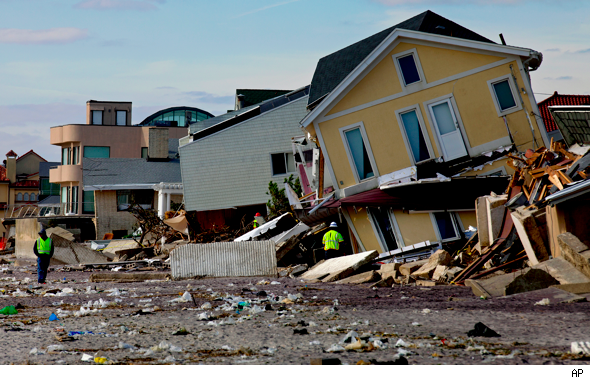 Approximately 20 percent of the residencies hardest hit by Hurricane Sandy were co-ops. Even though the common image of co-op dwellers is that of well-to-do, moneyed American aristocracy, many co-op residents are senior citizens and retirees for whom additional financial obligations would be devastating. FEMA can, however, provide aid for damaged furniture and possessions, in much the same way that renter’s insurance does. However, areas such as the roof or boilers, for example, are considered “common areas,” to be addressed by the board and the tenants. Appeals have been made by local representatives for the purpose of changing legislation, so that co-ops might qualify for a portion of the repair funds. However, the real difficulty lies in finding representatives from other states who will support an allotment for co-ops. Because many senators and congressmen and women come from regions that are often hit by natural disasters such as floods and tornadoes, they might not be amenable to the possibility that FEMA funding could be diverted to a New York co-op. Six months after Hurricane Sandy made landfall, property owners are still struggling with the costs of repairs, and it was recently discovered that New York City residents might not be allowed to use federally granted funds to rebuild their homes. New Yorkers still have a hurdle to overcome with regard to funding for hurricane repairs and renovations: federal relief money disbursed to private citizens can only be used to build new structures, not restore damaged ones. However, no such restrictions are given to Long Island residents, even though the amount of money being given to the districts is almost the same (New York has been allotted $1.8 billion; Long Island $1.7billion). The funding for structural repair is desperately needed, since many of the severely damaged homes will have to be not only repaired, but elevated as well, in accordance with new flood safety standards. The lack of consistency with regard to how monies can be used within a single state is causing consternation among not only New York City residents, many of whom are still not able to move back into their homes, but also among state and local officials. Senator Chuck Schumer wrote in a letter to Housing and Urban Development Secretary Shawn Donovan that there must be uniformity with regard to relief funding for all residents of New York State. “A homeowner in Rockaway Beach will not be eligible for the same benefit that a homeowner in Long Beach, just 10 miles away, will be able to access." 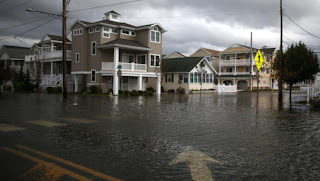 The New Yorkers without flood insurance who are looking to repair their homes and businesses might have reason for hope, however, since the plans for the allotment of funds are “only preliminary,” according to a spokesperson for the City. It was announced that residents who were still unable to inhabit their homes would be moved from Federal Emergency Management Agency-funded hotels into temporary apartments. FEMA would pay the rental, as well as administrative, costs for the initiative. Any funding for rebuilding efforts will certainly come in handy, considering that many residences will have to be elevated in order to comply with the new safety standards. The price of elevating a structure is steep—between $10,000 and $100,000, not including the cost of any other related expenses, such as a new foundation. Nevertheless, certain structures lying within the current advisory flood maps will be required to be elevated. Others outside of the flood area will not necessarily have to be elevated, but homeowners will have to decide whether to bear the costs of elevation or contend with substantially higher insurance rates. The North American Hockey Legends held an exhibition game on April 13th to raise money for victims of Hurricane Sandy in New Jersey. At the Prudential Center in Newark, New Jersey former players for the New Jersey Devils and other former hockey legends played an exhibition game against Russian Hockey Legends to raise money for charity. In all they were able to raise more than $50,000 with an attendance of 6,000. 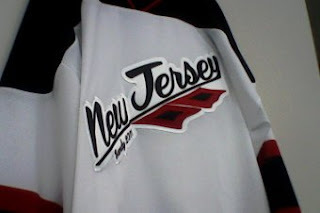 Each member of the North American team sported special jerseys for the event; the words New Jersey appeared on the jerseys with Sandy 2012 emblazoned below them, also featuring two hurricane flags as part of the design. The North American team stayed to colors worn by the New Jersey Devils and each player wore a black stripe that highlighted different municipalities that were hard hit by Hurricane Sandy throughout the state. Jerseys worn by the players were auctioned off live at the event, with play Brian Leetch's jersey raising more than $2,200 for Hurricane Sandy relief. The game itself resulted in a win for the Russians of 7-6, despite North America coming back from a 6-2 deficit in the third period. But the result of the game was not what was important to the players or those in attendance; the point was to raise money to help those in need and in this way it was a great success. For more information on the charity exhibition you can read the article from Bleacher Report. 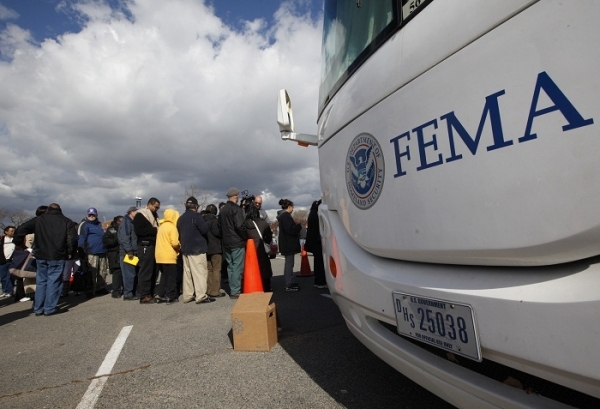 Federal shelter assistance will end May 1st for those who were displaced by Hurricane Sandy. 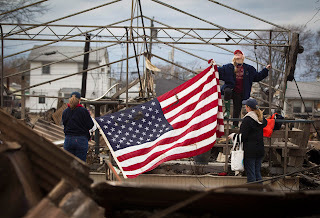 It was announced today by Governor of New Jersey Chris Christie that the Transitional Sheltering Assistance program that was instituted by FEMA (Federal Emergency Management Agency) after Hurricane Sandy collided with the state will end May 1, 2013. This decision to institute the final extension sought by the State is a result of exhaustive casework that concluded almost all of those who were participating in the program will have secured solutions for long-term housing by that date. In the wake of Hurricane Sandy there has been an intensive outreach program that has involved phone calls, electronic notifications and communications, as well as counseling in person for those who required housing solutions. Of the roughly 5,500 families that were displaced in New Jersey, roughly only 219 residents remain displaced, and both the Governor and FEMA believe that they will be able to find housing for them. Over the course of the federal assistance programs, 435 hotels participated in the Transitional Sheltering Assistance program with 253,425 room nights being provided with a stay of an average of 31 days. Once the program has concluded the total cost is expected to be just below $34 million. You can read more about this program through the official statement made by the State of New Jersey. Five months after Hurricane Sandy made landfall and as the restoring and rebuilding efforts are more or less under way, there is still what maybe a lingering public health issue potentially affecting everyone repairing their homes. Julian Omidi discusses the efforts to address this problem, as well as the health concerns. 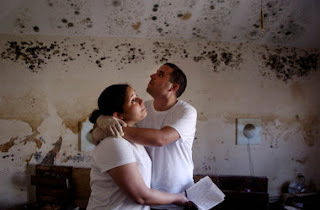 With all of the problems that Hurricane Sandy left in its destructive wake, there is one that is not readily detectable but may have consequences that could endure even after much of the devastation has been cleared: mold. Even the buildings that did not suffer particularly grievous structural damage were nonetheless saturated with water. The moist environment coupled with the spores lingering in the atmosphere left a perfect breeding ground for mold, which is believed to aggravate certain chronic respiratory conditions such as asthma, although there is as yet no conclusive research proving that mold in itself is a major threat to health. Allergy and asthma sufferers may nevertheless find that their symptoms are more acute than they typically are, and will therefore find it difficult to breathe and sleep in mold-infested environments. Nonetheless, it has been found that moldy conditions do seem to worsen allergies, and people with compromised immune systems due to severe existing illnesses may be in danger of weakening further if persistently exposed to mold. Getting federal relief funds for mold removal can be tricky. FEMA does allot some money for the remediation of mold, but only after its presence has been visually verified by an inspector from the agency. However, even though the mold may be lurking invisible beneath the surface, it cannot necessarily be spotted for, sometimes, many months. Funding for mold removal for Hurricane Sandy victims will partly come from the federal allotment and partly from private donations. The American Red Cross and The Robin Hood Foundation are expected to contribute a significant portion. The $15 million is expected to be disbursed among the 2,000 structures that have already been overtaken with advanced levels of mold since the hurricane. There are initiatives under way to help homeowners handle mold on their own. Residents can take free courses on the best ways to clean up mold using household soaps and solvents, as well as tips on how to hire professional mold remediation companies to remove it, since New York State doesn’t issue licenses to professional mold removers, and therefore doesn’t have an established set of standards for such companies. 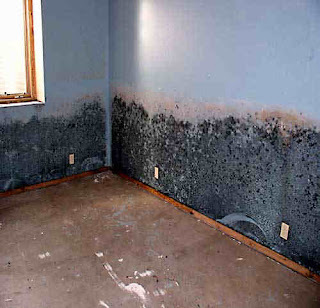 Mold is a common nuisance for many households. If you think your home could have a mold problem because your own allergies or asthma have become difficult to manage, it is advisable to have a professional contractor inspect the premises and possibly perform an air quality test. 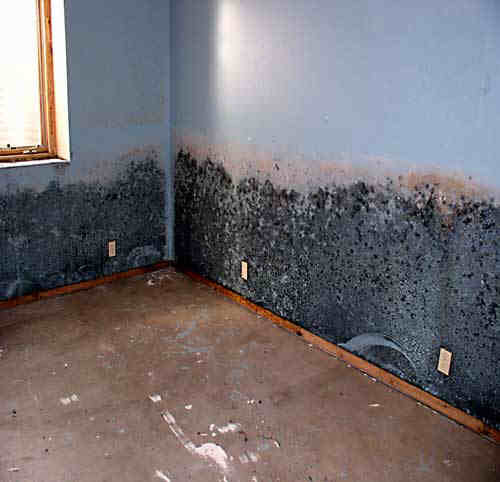 Mold can significantly devalue a home in addition to possibly causing physical discomfort to its inhabitants. New Jersey residents whose homes were damaged or destroyed by the force of Hurricane Sandy have begun to receive utility bills that reflect power usage that would have been flat-out impossible, considering not only the power outages, but also the fact that many of the homes and businesses were uninhabitable after the storm. 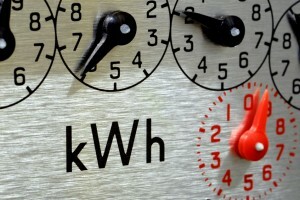 Many New Jersey residents are reporting utility bills that don’t seem to reflect the amount of power that is being used. In fact, many of these bills from Jersey Central Power & Light seem to be grossly inflated, since the residences for which the power usage was estimated were knocked from the foundations and therefore uninhabitable. The billing practice for Jersey Central Power & Light (as well as other power companies) is to estimate the amount of power that should have been used during a particular time frame and bill the customer based on that assessment. What JCP & L failed to take into account was that the amount of power used by many New Jersey inhabitants post-hurricane was significantly less than what it ordinarily would have been. A woman who lives in Seaside Park received a series of utility bills from the months of October through February for the same pre-hurricane amount, only she hadn’t been in her home in two months. When she contacted JCP & L, she was told by a service representative that the billing would take approximately 30 days to resolve. JCP & L has told residents who have received erroneous bills that they are free to call their help line for assistance, but hasn’t yet issued a statement regarding the billing practices. Recently, JCP & L announced their plans to implement a 4.5 percent rate increase in order to pay for the restoration and repair of the utility lines that had fallen during the storm. It is estimated that 10,000 homes in Ocean County are still unoccupied, and many of the owners are still receiving estimated utility bills. The inaccurate bills, combined with the intent to raise the rates, have caused outrage among many New Jersey residents, who don’t believe that the service that they received after the storm merited a rate hike. Power wasn’t fully restored for weeks after the storm for many home and business owners, and the communication within the utility company was so poor that the field representatives didn’t even know where the outages were, in spite of local officials notifying of the locations. According to Robbinsville Mayor David Fried, many officials will try to appeal the rate hike request, and try to lobby for the option of choosing the power company for the region, rather than having a power supplier assigned without negotiation. Will New Jersey Residents See an Increase in Rates After Hurricane Sandy? Although it has been nearly four months since Hurricane Sandy struck the East Coast, the after affects are still being felt. One of those after effects includes a rate hike for electric services, something citizens and public officials both object to. Jersey Central Power & Light announced that it plans to implement a 4.5 percent rate increase in order to make up for the lost revenue from the power restoration from Hurricane Sandy. The rate increase would amount to approximately $53 more per year for the average customer using 650 kilowatt hours per month. Of the 2 million New Jersey residents left without power, approximately 1.1 million are customers of Jersey Central Power & Light. Full electrical power wasn’t restored to the state until the end of November 2012, nearly one month after the storm made landfall. New Jersey residents who were deprived of power had to improvise methods of keeping warm and fed. Some residents had to heat food on their back yard barbeques, while others had to walk to obliging homes whose power had been restored to shower and charge their cellular phones. Babies that were not accustomed to sleeping under blankets had to sleep wearing layers and layers of pajamas. One resident reported using her car battery to charge her cellular phone. Jersey Central Power & Light reportedly replaced 6,700 utility poles and cut down 65,000 trees, more than twice the typical amount replaced on an annual basis. Additionally, the rate hike is meant to cover the expenses for the salaries and room and board for of all of the additional workers brought in from across the country. The utility company also announced its plans to use $200 million to reinforce and expand the infrastructure. JCP & L currently has the lowest residential rates of all four power companies operating in New Jersey. Nevertheless, in the post-hurricane economic climate, many residents will find the rate increase difficult to bear. It appears that the victims of Hurricane Sandy have to jump quite a few unexpected hurdles before receiving their flood insurance claims. Even four months after the landfall of Hurricane Sandy, victims are still struggling to receive reimbursement from their flood insurers. Insurance provisions can be extremely confusing; and policy holders in New Jersey are wondering if this wasn’t a deliberate decision by insurance companies in order to delay payouts. In some cases, according to an article in the Star-Ledger , the payments were delayed for so long that they are no longer sufficient to cover the damage combined with the expenses of temporary living. Many residents have found that the payments that were promised them have been significantly lowered without explanation. While many policy holders were under the impression that they had purchased full coverage; coverage that would pay for the entire loss of their $200,000 homes along with $60,000 worth of belongings. However, that amount doesn’t take into account the common practice of deducting the amount of property depreciation. So, if the home’s original purchase price $200,000, and the homeowner purchases the maximum amount of flood insurance, the payout isn’t automatically $200,000. Should the claim be approved, the payout will be minus the deductible, as well as minus the property depreciation. If the payout is given at all. Of the more than 140,000 claims submitted for reimbursement, only 66 percent have been closed; and the fact that the claim has been closed is no guarantee that payment has been issued. Thus far, 5,900 have been closed without having been paid out. FEMA has reportedly given incentives to the private insurers that handle the flood insurance on FEMA’s behalf; FEMA withholds payments to the insurance companies until the claims are closed out and paid. However, the FEMA auditing process is strict, and if the auditors have determined that overpayments were made, then the money is taken back from the insurer directly. Recouping flood insurance benefits has turned into a full-time job for many hurricane victims. Policy holders often have to leave several messages for their adjusters before their calls are returned; and not all of them even are. The promised flood insurance payouts that might have sufficed two months ago are no longer acceptable for many victims that have had to seek shelter in hotels and motels. In order to cover the mounting living expenses, hurricane victims have had to dip into their retirement accounts. There are not only the hotel/motel bills to contend with, there are the expenses of travelling to work or school from sometimes distant locations, as well as the cost of eating out, since most hotel rooms are not equipped with kitchen areas. When purchasing disaster insurance of any kind, make certain that you go over all of the provisions with your adjuster thoroughly. If you are unsure of the meaning of any part of your policy, ask your adjuster to clarify it for you; if he or she is unable to do so, do not purchase it. Make a list of all of the valuables in your home, along with the original purchase price, date of purchase and serial numbers. It is a good idea to scan the list, along with all other important documents and either email them to yourself or subscribe to a data recovery service; in the event a disaster that destroys your property and possibly your computer and your files, you will still be able to access your paperwork. Julian Omidi discusses the National Hurricane Center’s inability to classify super storm Sandy as a hurricane before the event, thereby inadvertently causing residents of the North East to fail to recognize the severity of the storm. Julian Omidi looks at the consequences this miscategorization may have had for those on the East Coast. 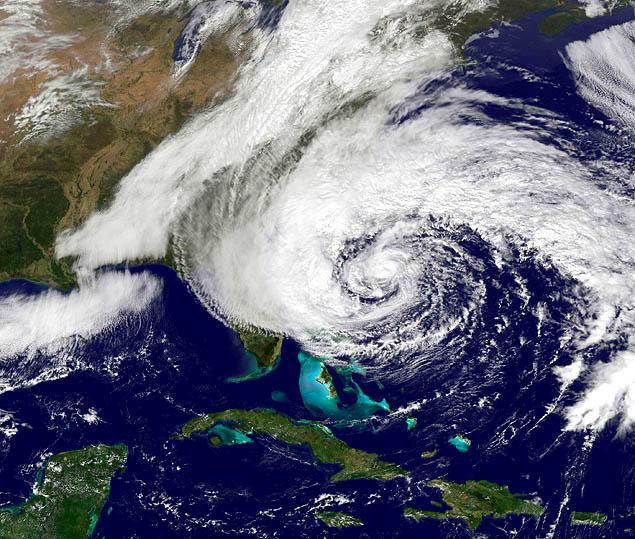 Even though we refer to super storm Sandy as a Hurricane, by the time it made landfall on the East Coast it was, technically, a post-tropical cyclone, according to the forecasters at the National Hurricane Center. While this may not seem like a tremendous difference to those of us who are unacquainted with meteorological events, the agency and local officials were very concerned that the downgrade would cause residents to fail to take the dangers seriously, according to a recent report in the New York Times. The National Hurricane Center takes its forecasts extremely seriously; accuracy of the classifications of various storms supersedes even the desire to protect the population from underestimating potential hazards. By inaccurately referring to the storm as a hurricane, NHC agents could have harmed the credibility of the center, possibly causing the public to disregard future warnings. Nonetheless, emergency management centers virtually begged the NHC to continue to call Sandy a hurricane – even though it wouldn’t have been strictly accurate. Once a storm has been downgraded from hurricane to post-tropical cyclone, the NHC no longer has the authority to issue advisories due to a long and convoluted series of rules and regulations. Local emergency management officials were left largely on their own to warn the public of the catastrophe, which may have caused the public to take the storm less seriously than it might have had advisories been given by the NHC directly. On October 27, two days before the storm hit, the NHC officially downgraded the hurricane to a post-tropical cyclone, and left local emergency management agencies to issue specific warnings about the dangers to life and property. Although cyclones might not seem a terrifying as hurricanes, they are more than capable posing a significant threat to human life, and this certainly proved to be true in Sandy’s case, since a total of 147 lives were lost in the United States and the Caribbean, and billions of dollars worth of property was destroyed. The NHC is currently working to modify its storm advisory rules so that official advisories about any tropical storm that poses a threat to life and property can be issued. Currently, the parent agency of the NHC, the National Oceanic and Atmospheric Administration, has the authority to deliver advisories regarding tropical storms that are not officially classified as hurricanes, so long as these storms have the potential to cause momentous hazards. Of the 147 deaths that occurred as a direct result of the super storm, 72 occurred in the North East region of the United States. More than 8 million residents were left without power for weeks afterword, and approximately 650,000 homes were either damaged or completely destroyed. Even though the federal government is certainly needed in order to alleviate some of the burden and destruction caused by Hurricane Sandy, federal officials and bureaus might not offer the best suggestions as to where the money should be spent. Some of the federal funding for the rebuilding of Hurricane Sandy ravaged areas should be allocated to local and municipal leaders for distribution, according to speakers during a meeting about Hurricane Sandy reconstruction financing. And since there are more than 3,500 peoplestill living in FEMA sponsored hotels without knowing whether or when their assistance will be cancelled, it is important that all levels of assistance are taken into account. The goal of the discussion was to alert the financing officials of the need to begin the rebuilding process from the ground up—not the top down. The restoration efforts must come at a local level; the mayors and local officials have a better grasp of what the communities need than Beltway politicians, but all input is still needed. Thousands of people are still displaced, without any clear idea of when they will their eligibility for hotel assistance will expire. 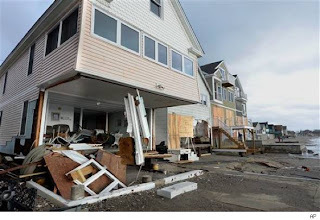 Even though the rebuilding of boardwalks and other tourist-heavy locations are well underway, many people are still waiting for insurance assistance so that they can begin the long and arduous process of rebuilding their homes. FEMA assistance is withdrawn when it is determined that the claimants are eligible for rental assistance, have housing options or are able to return to their homes, but since every case is different, it is impossible to know how individual situations will be evaluated. How will officials determine what is a viable housing option and what isn’t? What if the damaged and uninhabitable home is mortgaged and the assistance recipient must continue to make mortgage payments? The hotel rooms do not have kitchens; the Sandy refugees must eat all of their meals out, which is quite expensive. The transportation to and from school and work isn’t free, either. Assistance recipients find that the money which was intended for rental security deposits is continually dwindling away on inescapable expenses. The housing situation highlights the need for communication between federal and local offices. While FEMA has issued 1,000 housing vouchers, it is up to local representatives to distribute them as fairly as possible. Hopefully, the people who are still stranded in hotels without any idea of when they will be able to return to a home will finally get the assistance they need. Julian Omidi discusses the very slow progress being made in the efforts to rebuild after the devastation of Hurricane Sandy. Julian Omidi looks at affected areas and how they are coping with the recovery. Even though the reports about the efforts to rebuild the east coast after the “super storm” have slowed to a crawl, it is still important to keep track of the repair progress. Unfortunately, three months after the wreckage of Hurricane Sandy, several districts are reporting the recovery efforts have stalled. In Hoboken, New Jersey, there have been complaints regarding flood insurance claims, which have been slow to process. Flood insurance, which is mandatory for mortgaged homes in areas with a high flood risk, isn’t coming to many people with what are known as “garden-level units.” Insurance providers view them as basements, not homes or businesses, and therefore only replace boiler units. The Mayor of Hoboken has challenged Congress to alter the flood insurance policies in order to provide equal coverage for basement homes. Residents of public housing have seen the least progress. Electricity, heat and water services are spotty; the high waters brought infestation of water-loving insects like roaches and water bugs and residents still report that stalled elevators have left infirm and elderly residents stranded on the top floors. Because the New York City Housing Authority was so ill-prepared for this crisis, private charities took it upon themselves to bring food, blankets and medication to stranded public housing residents, many of whom didn’t have running water and who had to ration their prescription drug supply. Today, many of the buildings in Coney Island, The Rockaways and Red Hook are still using mobile boiler units that must be operated via generators. It is estimated that approximately 20 percent of the homes in Gerrittsen Beach, Brooklyn are described as unlivable. Many of the older residents are still living in the cold, with only space heaters and blankets, and rely upon mobile units of medical staff from the Coney Island Hospital to help them cope with an especially harsh cold and flu season. Much of the debris has been cleared, however. The water-logged furniture, carpeting, drywall and other damaged materials that littered the landscape has been cleared away, but the mold inside the homes is still a major problem. It was reported that 40 percent of the population of Long Beach, New York has not yet returned since Hurricane Sandy made landfall. Buildings are still flooded and covered in mold and mildew. Small businesses are suffering horribly, and many of the local establishments have closed down, unable to earn enough revenue to make up for the thousands of dollars in damage repairs. Many residents rely upon meal donation services, since their kitchens aren’t functional and restaurants too costly.